Has the Nursing Shortage Gone Away? 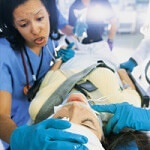 Home > Medical malpractice > Nursing malpractice > Has the Nursing Shortage Gone Away? Prior to the recession, dire predictions about the coming shortages of nurses and faculty stressed the need to recruit and retain more nurses. Then, spouses lost jobs and non-working nurses returned to the workplace. Fully staffed facilities, layoffs, and financial collapse and closure of some hospitals have resulted in difficulty finding nursing positions. Can we relax about the nursing shortage? Unfortunately not. The numbers are working against us. Both nurses and nursing faculty are aging. Take New Jersey, which is likely typical of the nationwide problem. More than half of New Jersey’s nurses are between the ages of 46 and 60, with an average age of 50. This means that nearly a third of the state’s workforce will reach retirement age in the next decade. Simple- just educate more people to become nurses, right? Unfortunately not. Even with online degrees ranging from CNA certificates to a social work masters degree, there aren’t enough healthcare providers. Nursing faculty are in short supply, and their average age is 55. The nursing curriculum requires extensive clinical experience and prevents a large number of students (more than 10) to be assigned to a clinical instructor. Nursing schools must limit the number of students who can be safely supervised. More than half of New Jersey’s schools of nursing already restrict student enrollment because of limited numbers of faculty, and thus are turning away people who want to go into nursing. Several studies performed by Dr. Linda Aiken of University of Pennsylvania have directly tied the quality of care with the number of registered nurses. The more patients the nurse is responsible for, the worse the care. The availability of well educated and experienced nurses has a direct impact on the quality of nursing care and the outcomes for patients. Many of the medical or nursing malpractice cases our company has been involved are associated in some way with inexperienced nurses. How are we going to fix the nursing shortage? Some grant money is becoming available to help subsidize education for developing more faculty. Schools must be able to pay faculty a decent wage to compete with the higher levels of compensation earned by nurse practitioners. Work environments must respect the unique contributions of nurses and make them an integral and valued part of the healthcare team. Retention programs must flourish. Let your state elected officials know you support funds for nursing education. Your life may depend on having a nurse at the bedside. This might be of topic, however, The impact of the nursing shortage crisis has already affected even the economy. Whether you are a businessman or a nurse, you have to study the ongoing crisis of nursing shortage because it may either give you advantage or disadvantage depending you how you react to the issue. For a number of reasons, the demand and supply of nurses may somehow give you different opportunities in your nursing career or even your venture in a new business. So if you want to survive in the recession and the nursing crisis as well then you just need to be informed and gain the right knowledge.